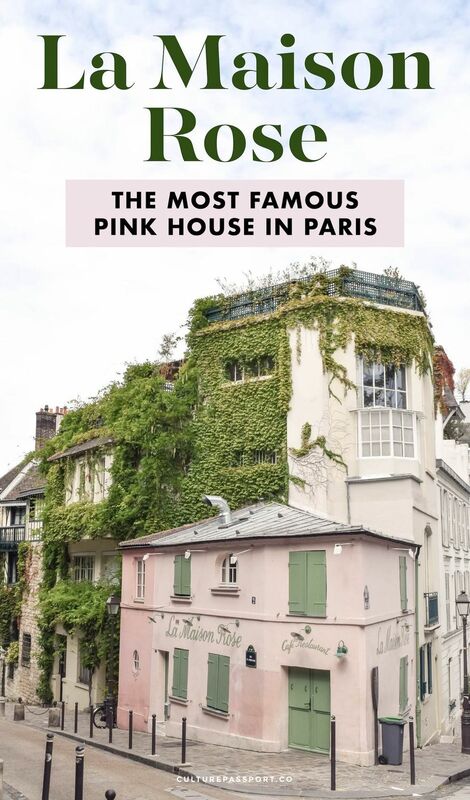 You’ve undoubtedly seen La Maison Rose grace your Instagram feed before: it’s the pastel pink house with green shutters and dreamy vines growing up the side of the neighboring walls. 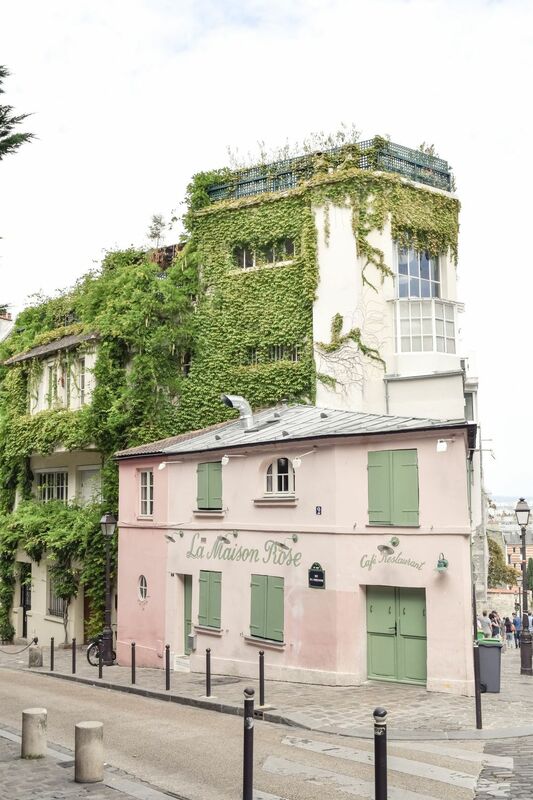 Did you know that this very instagrammable restaurant actually has a storied past in the history of Paris? 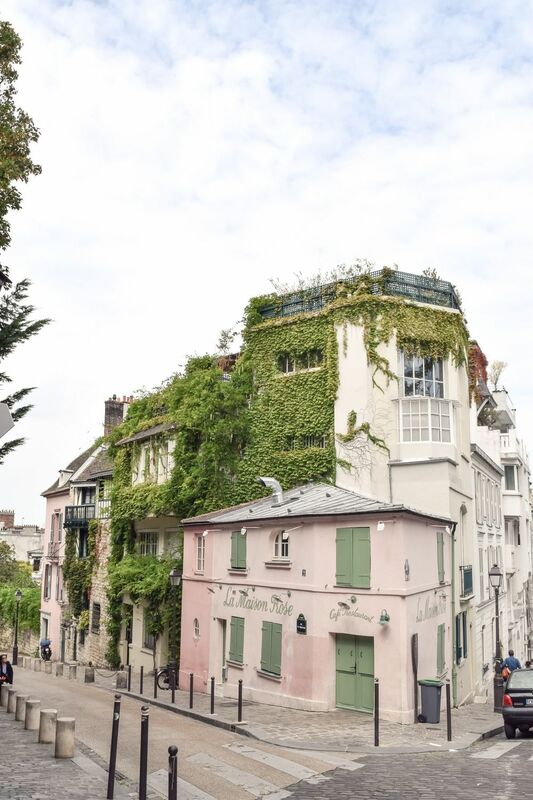 Nestled at the intersection of Rue de l’Abreuvoir and Rue des Saules, this pink house isn’t very far from the Sacré-Coeur, and its cobblestone street is one of the most beautiful in Montmartre, if not in all of Paris! 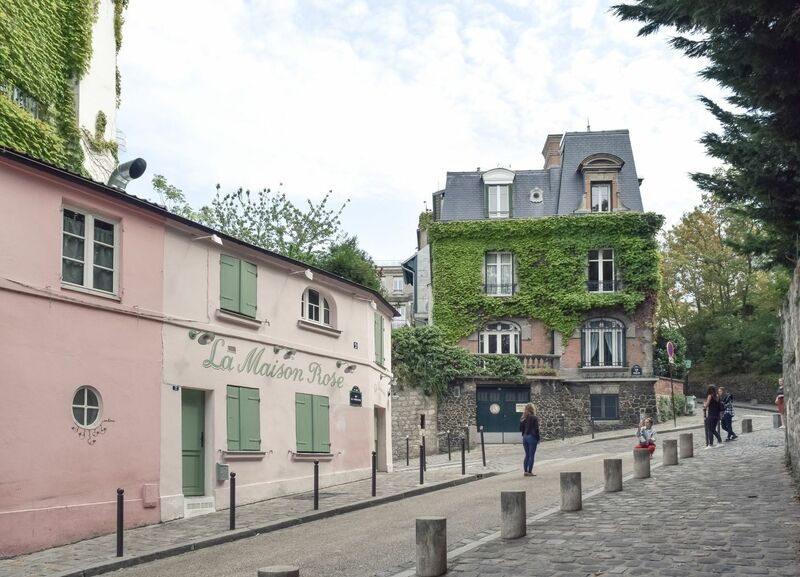 Although there is conflicting information online, La Maison Rose seems to be inspired by a painting by Maurice Utrillo called “The Pink House.” Utrillo is one of the few famous French painters to actually have been born in Montmartre! 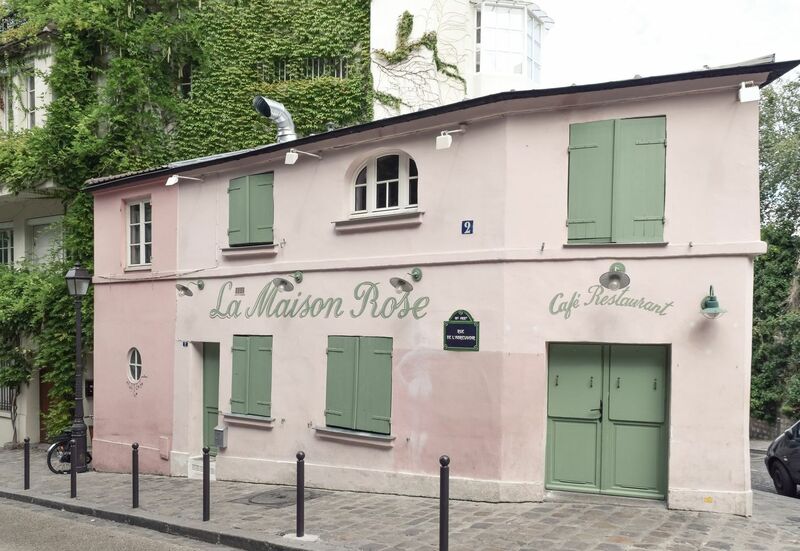 La Maison Rose has changed very little since it first opened around the year 1910. The restaurant’s founders were a French-Spanish couple associated with Pablo Picasso. Laure “Germaine” Gargallo Florentin Pichot (Yep, that’s a mouthful!) opened the restaurant with her husband, the Catalan painter Ramon Pichot Girones after getting married to him in 1905. Germaine had previously been a lover and close acquaintance of Picasso before settling with Pichot, and the two remained friends after their relationship. 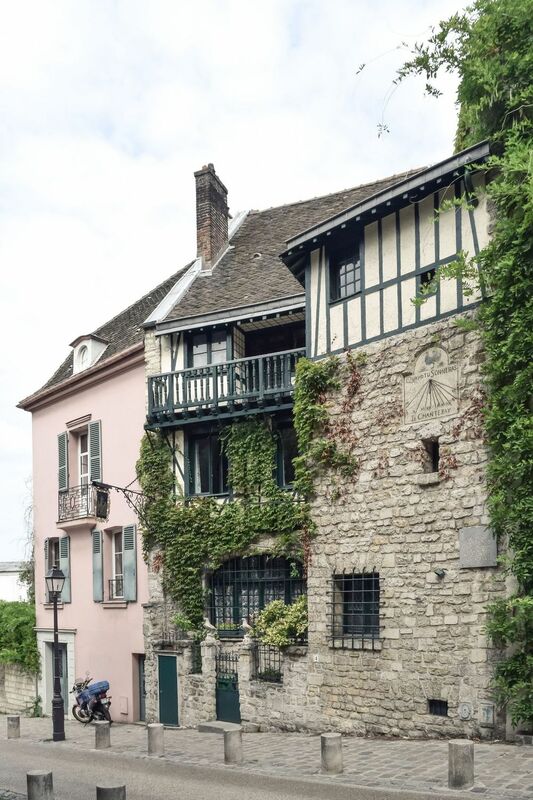 Montmartre was a tiny village in those days, and many other artists, writers and creatives including Picasso hung out in the area, so it’s entirely likely that La Maison Rose was frequented by some of Paris’ most famous creatives! The restaurant is open from Wednesday evening through Sunday, so if you want to visit without bistrot tables out front, be sure to go on a Monday or Tuesday!